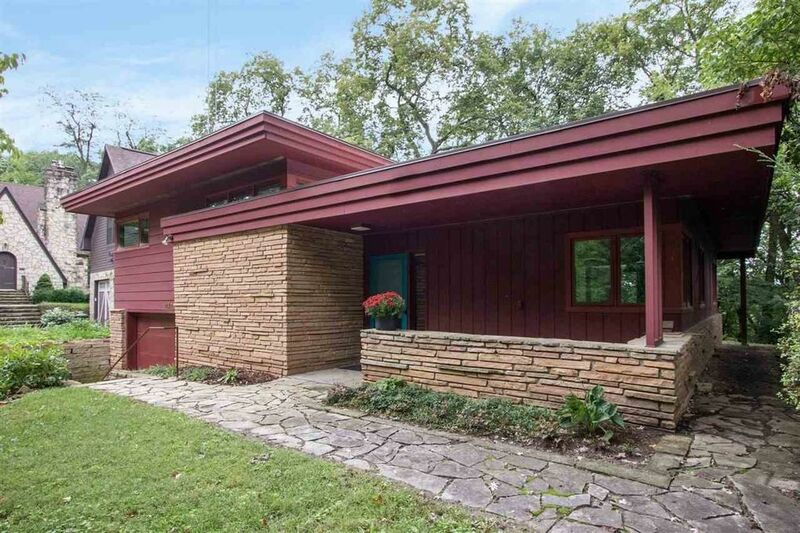 AUTHENTIC, unspoiled mid-century modern in private wooded north-side setting. Floor-to-ceiling windows integrate the interior with outdoor surroundings. The main floor with open plan is highlighted with original limestone fireplace, pegged hardwood flooring, natural stone floors and cantilevered stairway to bedroom with limestone wall and windows observing evergreens. The study provides views of hawks and eagles and the hallway and 3rd bedroom with clerestory windows frame nature. Classic Usonian concept.